As far as airlines go, I think you’re doing something right when a customer can proudly say they slept for a solid 7 hours on your flight without so much as a toilet break. Let me put that statement into perspective for you: the customer, obviously yours truly, never sleeps for more than 2-3 hours straight on a plane. So for me, a full night of ZzzZZ’s is like the holy grail of air-travel. And I’m rather happy I found it…. I’m not entirely convinced it was the diverse selection of free-flowing wine that made me sleep so soundly, nor the 180 degree, 1.98-m lie-flat boudoir in BusinessFirst Class (*I’ve slept on plenty of flat-beds before and enjoyed countless on-board wine-tastings). 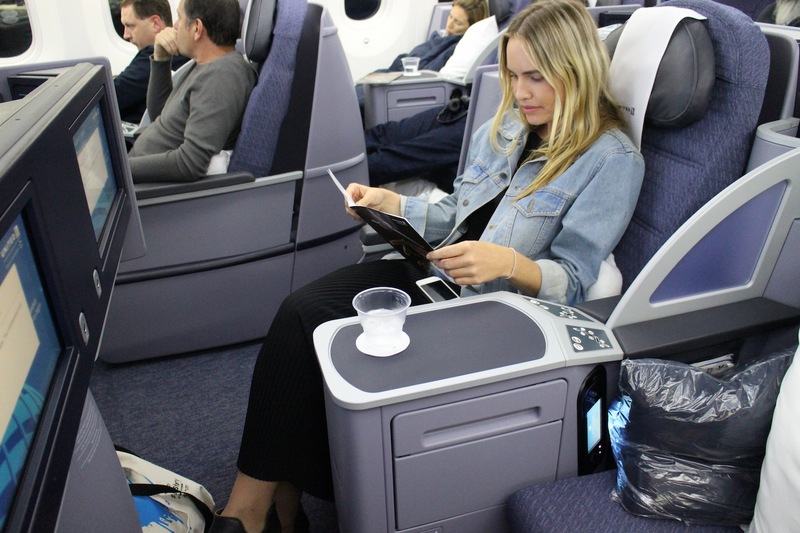 If I had to put it down to one thing, my guess would be the actual plane itself – the new United Airlines Dreamliner service from Melbourne to Los Angeles, which made it’s maiden voyage on about a month ago. I’d never been on a Dreamliner until this flight last week and, being rather precious about in-flight hydration, health, cabin pressure and all the fun stuff that affects our bodies’ during, and potentially for days after a long-haul flight, I was pretty excited to experience the Dreamliner first hand as I’d read about the great advances in in-flight customer comfort Boeing had produced in the young Dreamliner. The plane boasts lower cabin altitude and enhanced ventilation systems, which is code for better-breathing air and higher humidity. Why is this good, you ask? Little to no jet-lag, plus a whole plethora of positives like no more dry eyes (such a pet hate of mine) and less risk of DVT. *PS – Flat beds are awesome. I don’t in any way want to detract from how awesome flat-beds are. I don’t think I could ever cope with not having a flat bed on a flight anymore. Does that make me sound like a complete and utter brat? Probably. But seriously, flat-beds are the epitome of awesomeness. Eastbound flights are approximately 14 hours, 35 minutes. United will initially operate the service six-times-weekly increasing to a daily flight frequency on 12 March 2015. Under the current schedule, flight UA99 departs Melbourne at 11.15am on Monday, Tuesday, Wednesday, Friday and Sunday, arriving into Los Angeles at 6.50am the same day. On Saturday, UA99 departs Melbourne at 3.15pm, arriving into Los Angeles at 10.50am the same day. The return flight UA98 departs Los Angeles at 10.30pm on Monday, Wednesday, Friday, Saturday and Sunday, arriving into Melbourne at 9.15am two days later. On Thursday, UA98 departs Los Angeles at 9.30pm, arriving into Melbourne at 8.15am, two days later. 252 seats, 48 in BusinessFirst, 88 in Economy Plus, 116 in Economy. The Business/First space is 8 rows long and in a 2-2-2 configuration. It includes a seat with a 180 degree, 1.98-m lie-flat bed and adjustable headrest. The seat has a pitch/leg length of 78/78 and width of 22 inches, which is slightly narrow is you ask me. Up to 2 pieces of checked-baggage, up to 32kg each. BusinessFirst offers a high-tech Audio/Video on Demand entertainment system with a large 39-cm touch-screen LCD monitor. The system offers a diverse offering of 140 movies and episodes from around 107 television shows so if you’re a flying insomniac you’re going to have plenty of distractions! BusinessFirst amenities also include laptop power and USB ports. 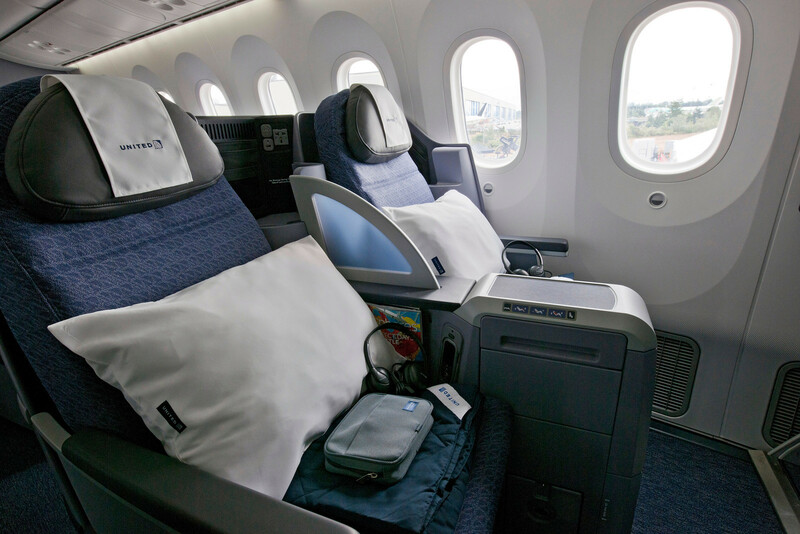 The windows are noticeably bigger on the Dreamliner, and also change colour to an incredibly-soothing ocean blue at different stages of the flight, depending on the time at your destination (another of Boeing’s neat tricks to decrease the jet lag). The lie-flat beds are always a god-send but the seats are a tad narrow for my liking. But this certainly didn’t detract from my 7 hours of uninterrupted sleep (refer above) so I really shouldn’t complain. You most definitely won’t go hungry. The service commences with an impressive array of wines and spirits, followed by a 4-course feast (lunch or dinner, depending on route) including a fresh salad, a choice of tenderloin beer, spice-rubbed chicken breast or tricolour ravioli (I had the tenderloin and it was welcomingly flavoursome and juicy), hard and soft-cheeses, and a large ice-cream sundae with every topping you could ever imagine. This was my personal favourite, and, judging by everyone else’s reaction in the cabin, it was their’s too! For all reservations and enquiries, call 131 777 or visit the United Airlines Website. WiFi (at a cost of $16.99 USD for full services) is available throughout the flight. At least it’s better than the Singapore Airlines WiFi fee. Can we just get free WiFi on all long-haul flights already people? So United, how about an upgrade of your lounges to go with the upgrade of your planes and service? Please make them bigger (they are too crowded) and less reminiscent of a 1980’s Laura Ashley catalogue. 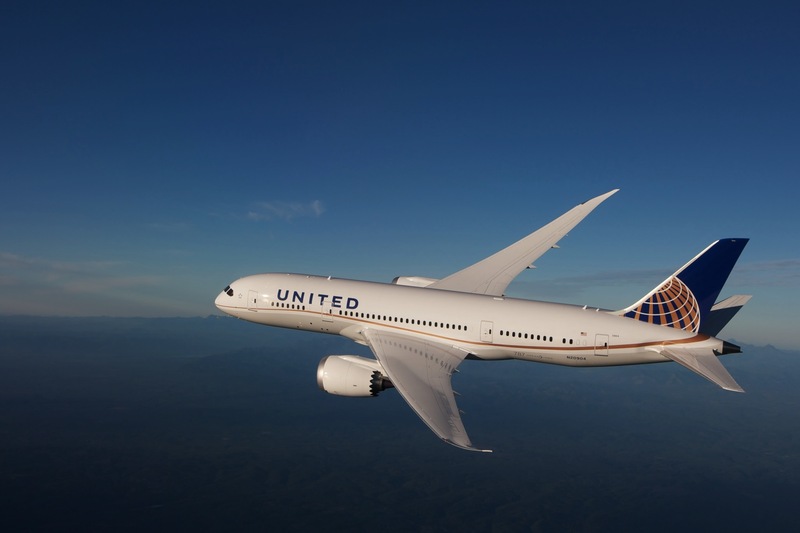 If you’re keen to continue your journey elsewhere in Cali, United flies direct from Melbourne to Los Angeles on their new Dreamliner 787-9 aircraft, with onwards connections to Palm Springs. I still can’t get over the fact I slept 7 hours. Thanks United. Stay cool. Reviewed by Stefanie Acworth, who flew courtesy of United Airlines mid November, 2014.